Spend a day paddling through the unique waterways that are tucked along the Crystal Coast shoreline, or enjoy an afternoon of high octane adventure on the open water in a modern wave runner – No matter how you like to explore, Island Water Sports Rentals has all the equipment you’ll need to discover the Crystal Coast shoreline to the fullest. Based in the central beach town of Salter Path, and easy to reach for visitors staying from Atlantic Beach to Emerald Isle, this rental equipment company allows visitors to make the most out of their vacation by offering a suite of watersports equipment, boat and wave runner rentals, and even seasonal boat tours that are sure to create timeless memories for everyone in the family. 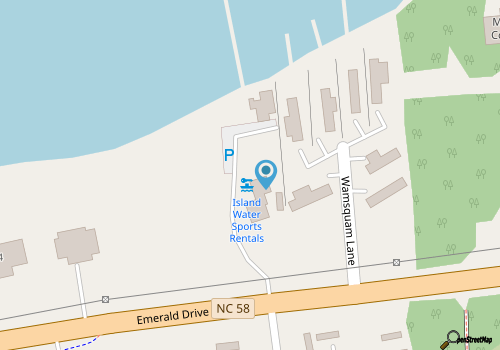 Island Water Sports Rentals has everything required to explore the islands of the Crystal Coast from the inside out, including kayaks, stand-up paddle boards, wave runners, and even boats for family outings. In addition to the equipment that can be rented on an hourly or even daily basis, Island Water Sports Rentals also hosts a number of on-the-water excursions, such as banana boat rides and dolphin tours. With an on-site gift shop that’s also stocked with fun items for the family, there’s no adventure too big or small for visitors at Island Water Sports Rentals. Call 522-477-303 for current hours.